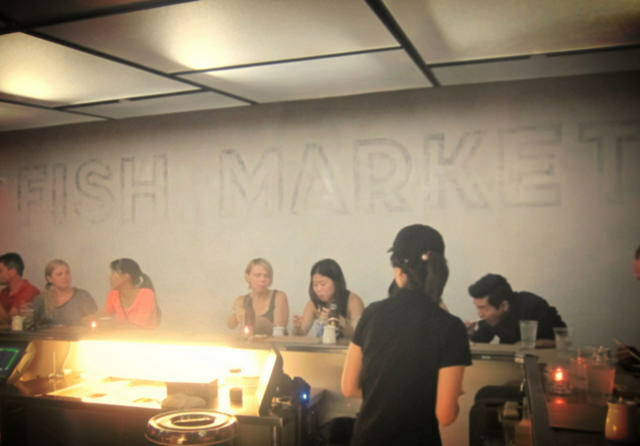 KazuNori, the original hand roll bar, rolled out in Downtown Los Angeles this month. From the legendary Nozawa team which brought Angelenos the affordable Sugarfish, this latest concept is pure genius. Capitalizing on the popularity of the toro and blue crab handrolls that are served with the Trust Me combo from Sugarfish, KazuNori is just hand rolls. The small shop is dominated by a sushi bar. Take the first available seat (or seats– I don’t suggest going with more than one other). You can also take out the rolls which I noticed are cut up like more traditional rolls. 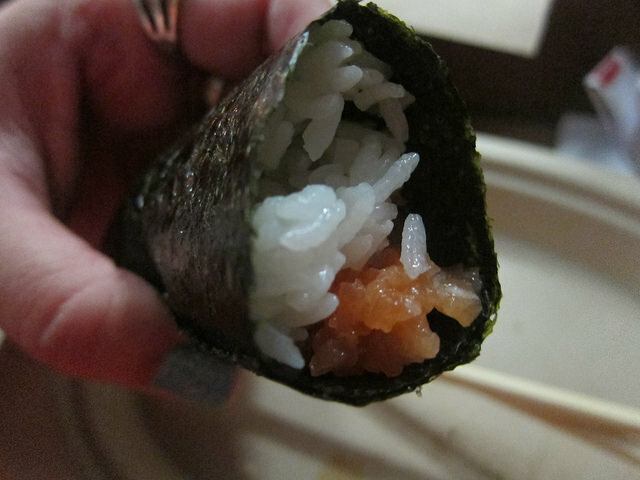 There are combos of 3, 4 or 5 hand rolls. Every combo comes with the beloved blue crab roll. After looking over the menu, we each decided on the 5-hand rolls combo. At $17.50, it’s amazingly priced. 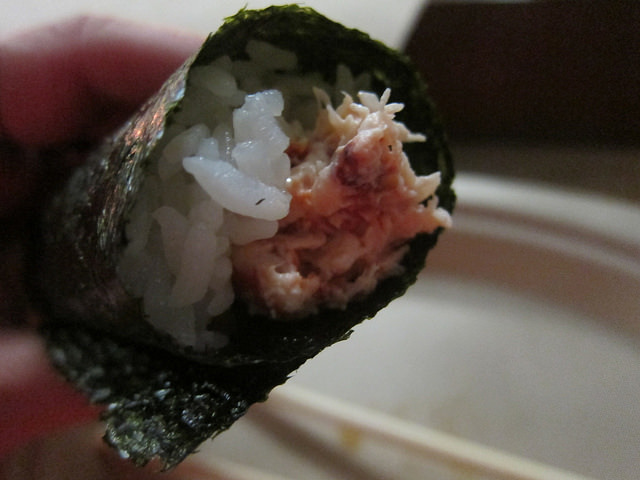 Plus if you are still hungry, there’s always a la carte hand rolls and daily sashimi. Included in the 5 rolls combo are the daily hand roll, salmon, bay scallop (or cucumber, but really, get the scallops), blue crab and lobster. 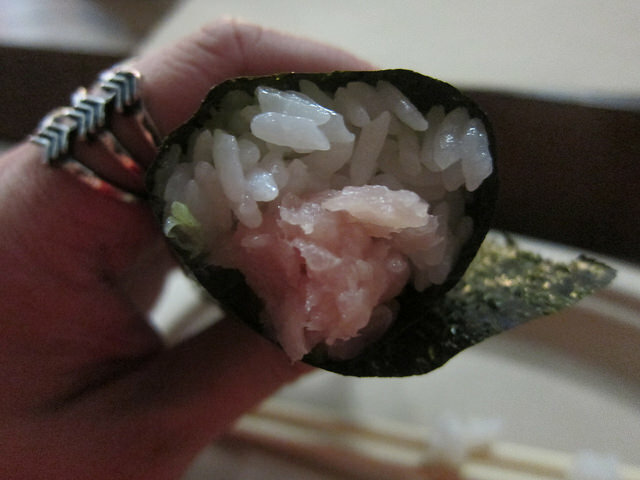 On the night I checked out KazuNori, the daily hand roll was toro. I noticed you could only get yellowtail a la carte as it’s not part of any of the combos. I love this latest addition to DTLA and can’t wait to go back for lunch!